Because the first impression is crucial. 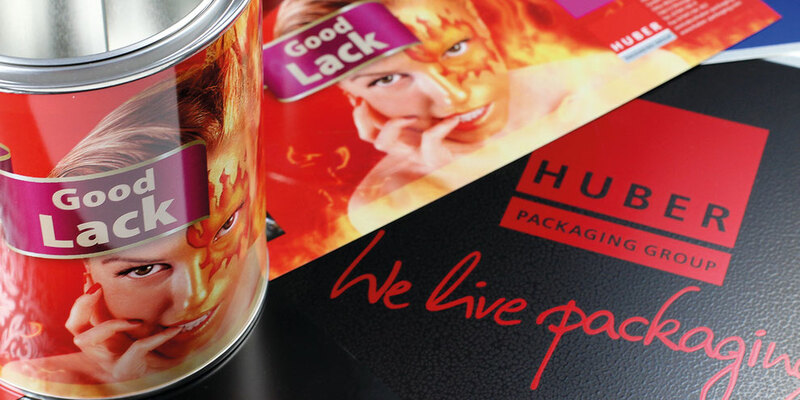 Within the HUBER Packaging Group, we produce a unique range of high-quality packaging made of tinplate. The material tinplate, thin-rolled steel plates with a thin layer of tin, is ideally suited for offset printing. In sheet metal printing, the tinplate sheets are printed and coated before they are shaped into a packaging. We offer high-quality and sales-promoting printing of metal from our modern and powerful printing center in Öhringen, Germany. Experienced employees, state-of-the-art technologies for processing print data, digital output of single samples as well as a versatile machine park for coating and printing on tinplate are the basic elements of our partner to implement customer wishes efficiently and in the highest quality. The use of energy recovery systems, the use of low-pollutant paints and varnishes and other measures minimize the impact on the environment, employees and users. We would be pleased to advise you in detail about the various possibilities of sheet metal printing in order to present your brands and products in the best possible way and in high quality.